Our Small Universal Pneumatic Wheels are 220mm in overall diameter and available in 8 different bore sizes from 12mm up to 1 inch (25.4mm ). 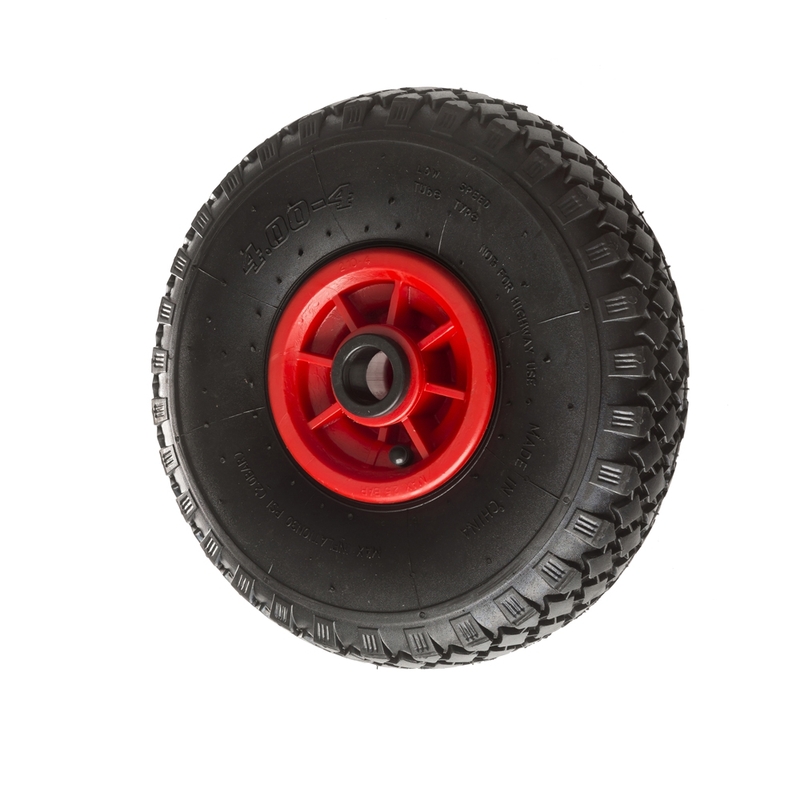 Ideal as trolley wheels, kayak trolley wheels or go kart wheels these pneumatic trolley wheel will suit your application. We manufacture to order in the UK for NEXT DAY DELIVERY and they are built to last. You have the option to choose either plain bore (PW), roller bearing( PWR ) or Ball Journal (PWP ) options.